I’ve been digging around the junk drawer that is my draft folder. In a concerted effort to clear out the mental clutter, I’m posting these drafts ‘as is’…. BAH Note: To make the simple syrup, combine 1 cup sugar and 1 1/4 cup of water in a saucepan. Bring to a simmer over medium heat and stir until the sugar is completely dissolved. 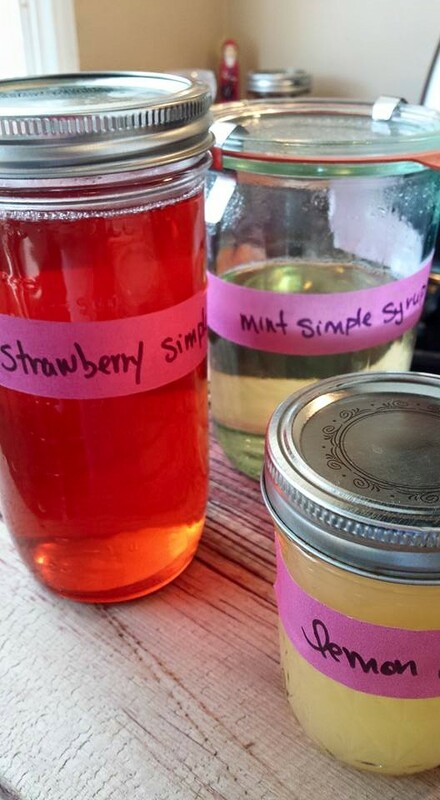 The simple syrup can be refrigerated in an airtight container and used to sweeten your beverages all summer long. Combine all the ingredients in a pitcher and stir. Serve over ice and enjoy.